Even the name conjures up a sense of the dark and the mysterious. This is one of the classic ‘witching’ herbs thought to be the principle ingredient in flying ointments and well known for its hallucinatory properties. It is said that it produces the sensation of flying, and those who take it, providing they survive the experience, remember nothing when they awake. 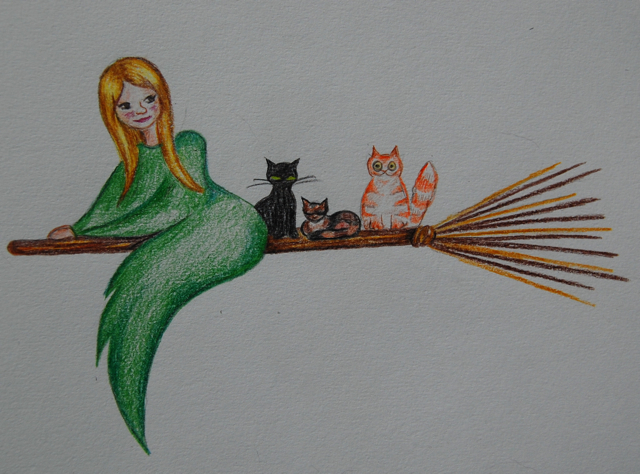 Who knows where they go or what they see? Henbane, Hyoscyamus niger, has always been associated with magic. The Greeks thought it sacred to Apollo and the art of divination, no doubt due to its mind altering effects. Its also been linked with death and the underworld as it grows well on graves and evidence of it has been found in Neolithic burial sites. In Greek mythology it was said that the dead in Hades wore wreaths of henbane. The Egyptians called it ‘Sakran’, the Drunken, due to its intoxicating qualities. Dioscorides refers to a type of mead made with opium and henbane (surely enough to knock out the sturdiest of drinkers!) and it was used in Europe as an addition to brewing beer before being banned in 1516. Part of the Solanaceae family, its relatives include the humble potato along with the decidedly less innocent deadly nightshade. Medicinally it has been used a sedative and antispasmodic due to the alkaloids hyoscamine and hyosine. Culpepper warns against its use internally but recommends it as an ointment, oil or poultice for gout or for toothache, when applied to the cheek. It has a long history of use as a poison and is thought by some to be the herb used by Claudius to kill old Hamlet in Shakespeare’s play. Henbane is not a ‘pretty’ plant, but there is a kind of beauty in its dusky, deep and purple veined flowers and its downy grey green leaves. It draws you in with its whispering and wonder and it speaks through a waking dream. Although I don’t use it as a herbal medicine, I think it would make an interesting flower remedy, perhaps enhancing journeying or visions. I believe that in most cases plants like this are always best worked with in very subtle ways. Just sitting with henbane is enough to leave me feeling quite hypnotised and facilitate shifts in consciousness. Sit with it too long and I can start to feel decidedly sick! Please note – This post is for interest only. 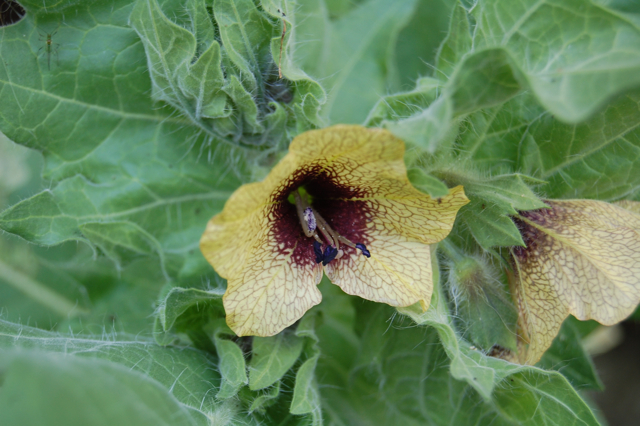 On no account should henbane be experimented with internally as it is highly toxic. 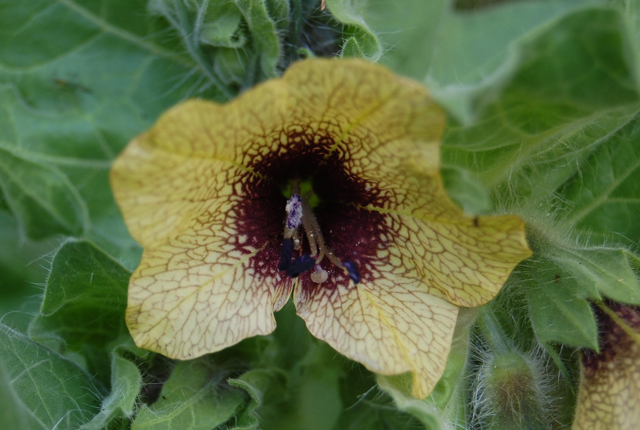 I just love mystic magical posts….henbane now intrigues me.